Christopher Nolan reveals more amazing footage from his upcoming war epic Dunkirk. “When 400,000 men couldn’t get home, home came for them.” These words could not better describe the amazing effort that the British military and civilian volunteers put toward saving the British and French soldiers trapped at Dunkirk. By late May 1940, the Allied stand against the German blitzkrieg had turned into a complete rout. The innovative style of mobile warfare had taken the British Expeditionary Force, or BEF, and the French army completely by surprise. Driven back by the relentless German tide, the Allies found themselves cornered on a beachhead in Belgium. What followed was the herculean effort by the Royal Navy, RAF, and independently-driven citizens of Britain to bring as many soldiers home as possible. Under constant harassment by the Luftwaffe and pressure by the Wehrmacht, the rescue at Dunkirk became nothing short of a wartime miracle when the Allies needed it most. The new film Dunkirk by Christopher Nolan depicts this moment in WWII history when the Allies were on the verge of defeat. The quality of the trailer should be enough to excite any military history buff. CGI blends seamlessly with on-location filming, making for gripping authentic dogfights and battle scenes. The film is shot on 70mm film as opposed to the more common, noticeably cheaper digital of the Michael Bay era, giving the cinematography a crisp look. The film’s colossal size and multiple perspectives harken back to the classic military war epics, like the Battle of Britain, A Bridge Too Far, and The Longest Day. 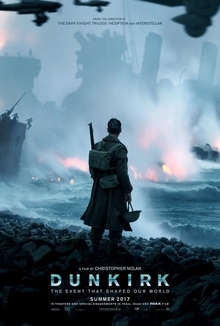 Will Dunkirk fill these big shoes? We’ll have to wait until its release on July 19th to find out. In the meantime, check out the amazing trailer here. Tags A Bridge Too Far, Allies, Axis, British Expeditionary Force, british military history, Christopher Nolan, Dunkirk, The Longest Day.